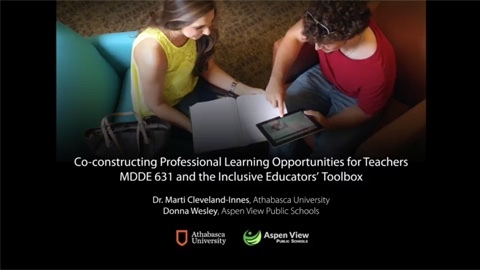 The Inclusive Educators' Toolbox grew out of the Centre for Distance Education's course, MDDE631 Inclusive Leadership and Practice in Education, at Athabasca University. This course addresses the skills, knowledge, and attitudes required to deal successfully with student diversity. Participants address current challenges they face in a collaborative manner designed to create an ongoing community of practice. In the video below, Dr. Marti Cleveland-Innes describes the background to this important initiative. The Toolbox extends this collaborative workspace to the broader community of inclusive educators by inviting you to join our community and contribute your own tools and ideas for inclusive education. The Inclusive Educators' Toolbox is a shared collection of member-created ideas, activities, and tools. As our community grows, so will our collection. The graph below indicates the total number of tools, downloads, and members over time. ... and our growing community of contributors to the Toolbox.